Are you looking for bathtub refinishing training classes? If so, you have come to the right place. While there are few available bathtub refinishing training classes out there, only one gives you the true hands-on experience necessary to be successful; bathtub refinishing training classes from Topkote. For over 20 years, Topkote has dedicated itself to providing the best bathtub refinishing training available and our goal is for every trainee to be successful. After all, your success is our success. 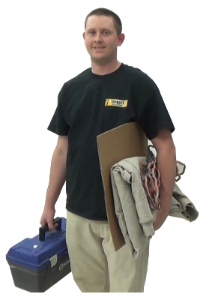 So, what makes our bathtub refinishing and reglazing training classes the best? Our unique hands-on approach will allow you to spend more time behind the bathtub refinishing spray gun than any other training in this industry. A number of our trainees have come from our competitors refinishing classes. The biggest complaint is the overwhelming class size and lack of spray time. Many trainee’s feel that our program is the best and should have been their number one choice. When you graduate from our bathtub refinishing training, you will be ready to enter the field and be a successful bathtub refinishing professional. In fact, we are so confident that you will succeed we will refund the cost of your bathtub refinishing training if you don’t! Why should you choose Topkote for your bathtub refinishing training classes? We have been in your shoes and know what it takes to get the job done right the first time. Topkote started out as a bathtub refinishing and reglazing company. Our trainer & technical support staff has over 37 years of combined experience in the successful operation of the bathtub refinishing business. If you go with Topkote for your bathtub refinishing training, you will get the industries best bathtub refinishing knowledge. So what are you waiting for? Schedule your bathtub refinishing training classes today or give us a call at 1-888-TOPKOTE to discuss how Topkote can help you become a successful bathtub refinishing professional. Please log in if you would like to leave a comment.